There are many products of women accessories, skirts, weaving doormat, and other created by craftsmen from Probolinggo. Find wide choices of fashion cloth and accessories with affordable prices and quality materials. All products, especially women accessories like bracelet, hairclip, hairpin, and unique hairband ribbon are made by skilled and creative women in Probolinggo by using beads and some nature material. With various colors and unique motifs, all accessories in this gallery make you look more beautiful and cute. 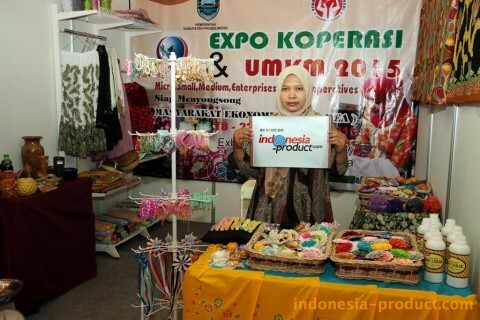 You can also choose your favorite handicraft and products original from Probolinggo in export quality. Visit showroom of Department Industry and Trade in Probolinggo to know more the products!